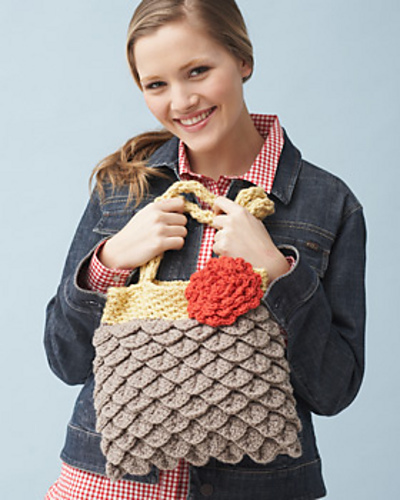 Pattern of the week: thinking of… crocodile stitch! 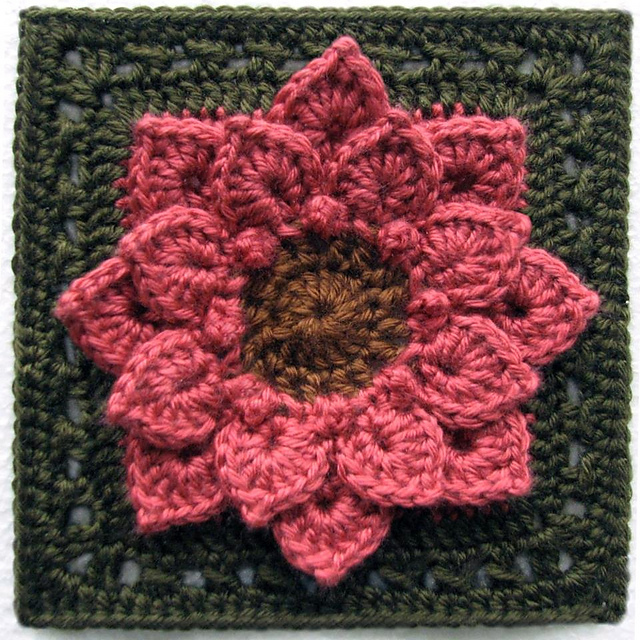 Posted in Free pattern, Inspiration, Pattern of the week	by Giulia P.
Well, for this week’s POTW I have actually picked a stitch which seems to be very very trendy lately. I must say that I have mixed feelings towards it though, in some cases it looks pretty neat if combined with other stitches, and sometimes I find it to be quite overwhelming… curious? I’m talking about the crocodile stitch! I have put together a couple of patterns I like 🙂 They are all for free apart from the last one, which is also my personal fave. I’d be curious to know what everyone thinks of this stitch! If you look through the FO’s you’ll see what a great variety of purses, bags, etc have been made out of this pattern… variations are almost endless! Same here, infinite variations possible! « Pattern of the week: thinking of… geeky vests! 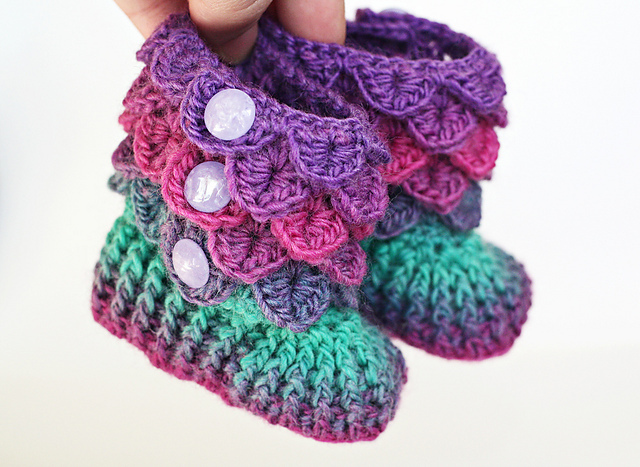 WHERE do I get the free pattern for the baby crocodile booties?